The United States has expanded its offer of rewards for information on key leaders of terrorist organizations to include a leading figure with in one of the groups conducting attacks in the Sahel and other areas of North Africa, al-Qaida in the Islamic Maghreb, or AQIM. 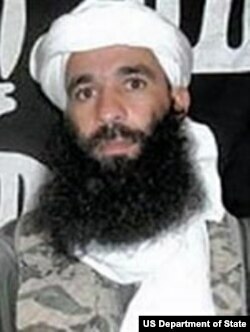 Yahya Abu el Hammam has played a key role in perpetuating the group’s terrorist activities and took part in several attacks in Mauritania. In July 2010, Hammam was reportedly involved in the killing of a French hostage in Niger. In 2006, he was sentenced to death in absentia by Algerian authorities for terrorism-related charges. He has also been sanctioned by the U.S. Department of Treasury and the United Nations. El Hammam was born September 5, 1978 in Reghaia, Algeria. He has used the aliases Abu Yahia and Akkacha Djamel. The Rewards for Justice Program is offering a reward of up to five million dollars for information leading to el Hammam’s location. The U.S. promises that all credible reports will be investigated and the identity of all informants will be kept confidential. If appropriate, the U.S. is prepared to protect informants by relocating them and their families. If you have information on this man, contact the nearest U.S. Embassy or Consulate and the tip line at www.rewardsforjustice.net or e-mail information to info@rewardsforjustice.net. In North America, call 1-800-877-3927.